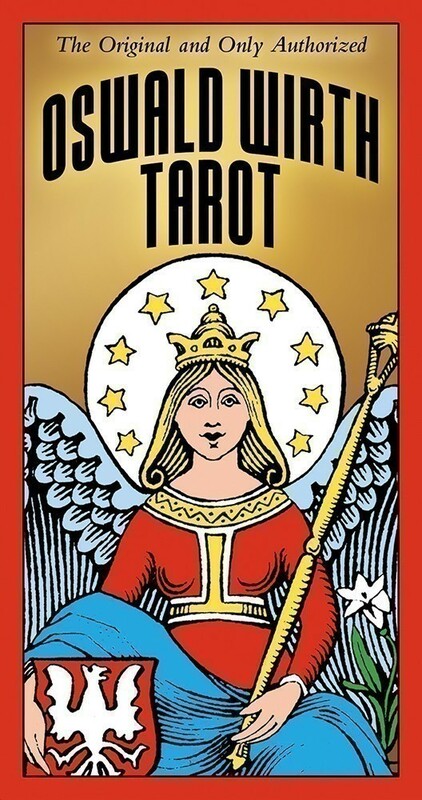 This historical tarot deck, created in the Marseilles style, is based upon the original designs by famous Swiss kabbalist and occultist Oswald Wirth. 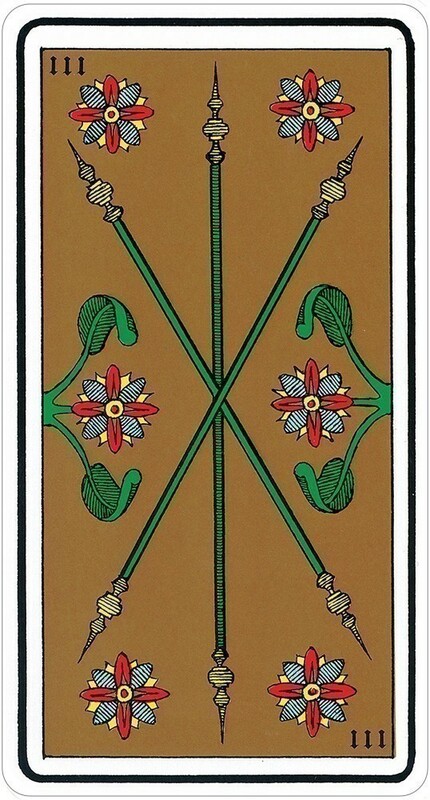 The 22 Major Arcana first appeared in 1889 in a hand-colored limit edition deck. The 22 Major cards have French titles and the Hebrew letters attributed to each card by Eliphas Levi, and popularized by Oswald Wirth. 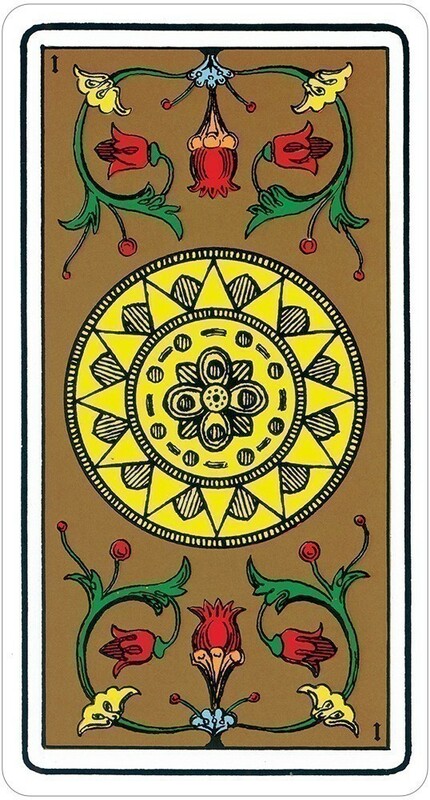 This authorized full 78-card deck is printed with vivid colors on gold background. 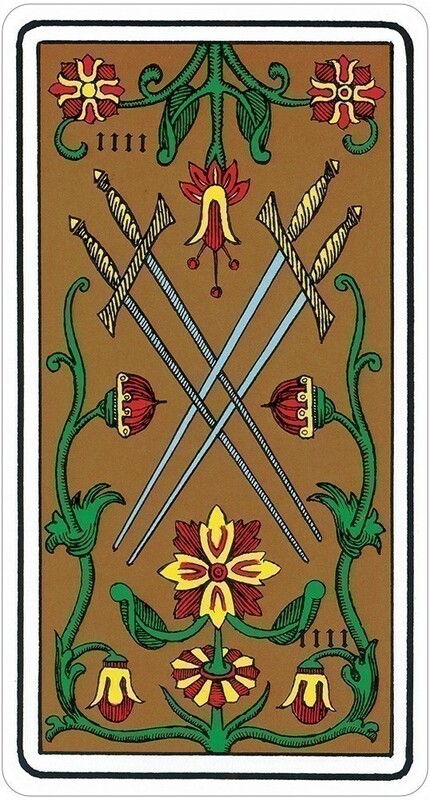 The 56 Minor Arcana cards present the four traditional suits of Swords, Batons, Cups and Coins. The pack includes a booklet of commentary by Stuart R. Kaplan on the Oswald Wirth Tarot Deck. 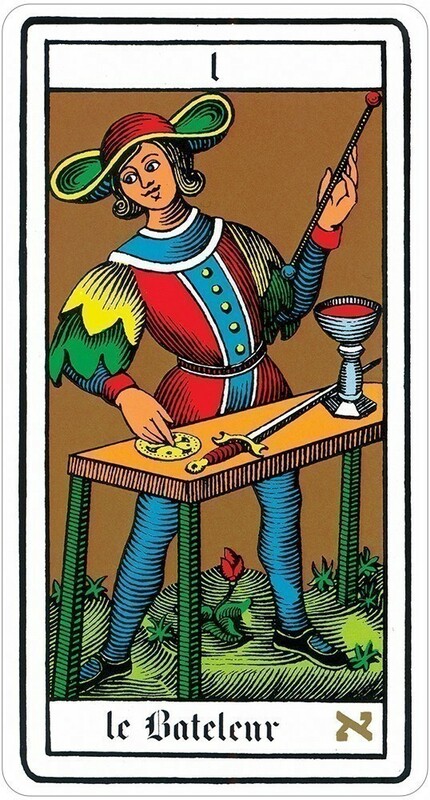 Cards measure 2.75" x 5.25"
This is arguably one of the best and most exciting tarot decks ever published. Created in 1899 by the famous Swiss occultist Oswald Wirth, it is not only a collector's item because of its beauty and artistic quality, but also a fascinating compendium of occultism. Rich in symbolism, esoteric and complete, this is a must for the serious student or collector! These cards are geared toward to disciple who is working toward the goal of know thyself. These cards are one of the only decks available which keep the original symbols and colours maintaining their inner symbolic significance. 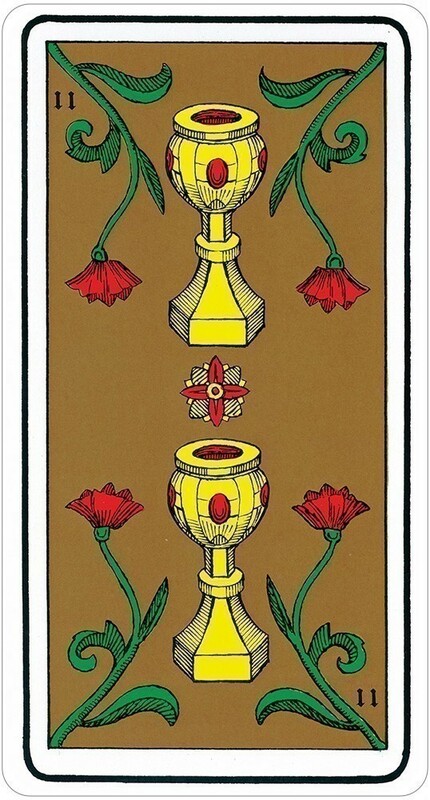 These cards were created by Oswald Wirth at the dictation of the initiate Stanislas de Guaita. These cards when meditated upon can assist us to acquire self-knowledge on our journey of initiation giving us a better insight into our life to help us to progress on our paths with greater ease and speed. One of the most important decks that certainly influenced many adepts and scholars.